Aseptic blow-fill-seal (B/F/S) systems for the processing of pharmaceutical liquids have experienced rapid and growing acceptance by the pharmaceutical industry over the past 20 years. This has been accelerated by enhancements made to aseptic B/F/S processes based on pharmaceutical industry input and to accommodate the requirements of regulatory agencies. These enhancements were designed to improve product integrity and help ensure patient safety. As a result, the United States Food and Drug Administration and the United States Pharmacopoeia now characterize modern B/F/S technology as an "advanced aseptic process", indicating its use as a preferred technology over other aseptic systems and a better solution for the sterile, aseptic processing of pharmaceutical liquids. 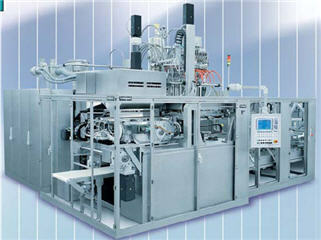 Aseptic B/F/S systems offer a unique combination of flexibility in packaging design, low operating cost and a high degree of sterility assurance. Due to its design and functionality, B/F/S processing inherently produces very low levels of particulate matter, and much of the potential for microbial contamination in its critical areas is mitigated by the absence of human intervention in these areas. This is the basis of a new article by Chuck Reed. The article can be found here.